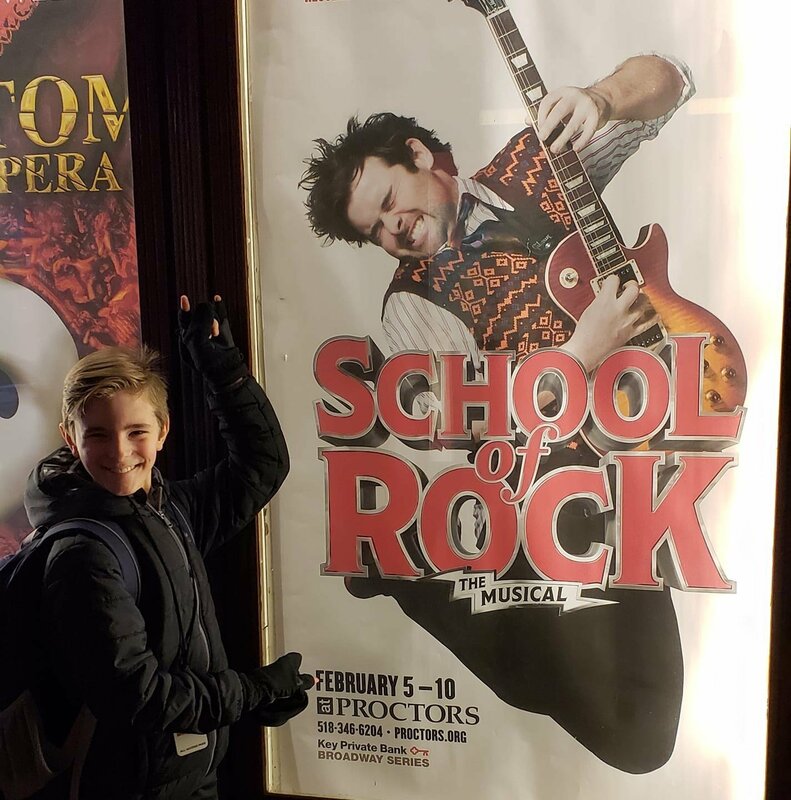 Eamonn Hubert, the 10-year-old guitar prodigy from Endicott, has joined the cast for the School of Rock U.S. tour. Eamonn has been performing with his dad, Doug, since he was 5 years old. In the School of Rock, an Andrew Lloyd Webber musical, Eamonn will take on the role of a "swing." That means he'll learn multiple roles and be ready to fill in at a moment's notice in case someone is sick or injured. Eamonn is gifted with what is referred to as "perfect pitch." When Fox 40 met Eamonn in 2017, he showed us how that works. He can identify any note just by hearing it, making it easy for him to pick up other instruments. He now plays seven.